As one of the services that we offer, Google remarketing services will generally allow your adverts to be seen by people who have already visited your website or those that have already used your mobile application. It is also known as retargeting. In remarketing, you can easily reengage with the prospect who has been on your website but did not purchase your products or services, contact you or subscribe to your website. After visiting your website, your remarking banner will pop-up on other websites they visit, thus reminding them about yours. Famous examples of remarking strategy are Gumtree and Amazon – after you’ve visited them and looked at specific products you can be sure to keep seeing these products pop up wherever you go, enticing you to come back and purchase from them. easily tailored – target the customers who abandoned the shopping cart, or those who didn’t convert, use a different ad for each product category, upset to the existing customers, select your location and language targeting etc. Remarketing is an effective way of ensuring that your website stays alive in the mind of the viewer. 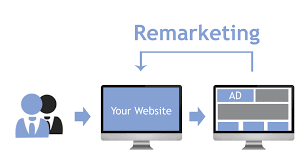 As a digital marketing firm, we offer great prices for remarketing services. You will only be required to make payments of a fixed amount based on a management fee structure provided by us rather than a %.